With his base in Italy, Luciano Benetton built a chain of shops selling colourful clothing with a youth appeal. 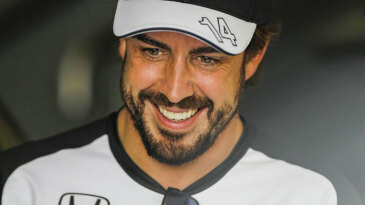 He saw Formula One as the ideal way of promoting them. In the early 1980s, Benetton sponsored Tyrrell, Alfa Romeo and Toleman, which Benetton then bought in 1986, fielding the cars as Benettons. With turbocharged BMW engines, they were tremendously powerful and Gerhard Berger claimed their first victory in Mexico. Benetton began to emerge in the late 1980s. In 1989 they had Alessandro Nannini as their lead driver supported by Johnny Herbert, but when Flavio Briatore took over as kingpin in the Benetton organization both team boss Peter Collins and Herbert were fired. 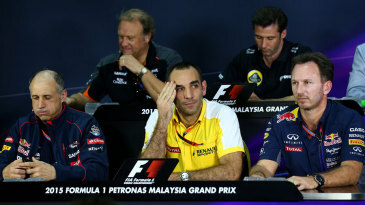 Briatore replaced Herbert with Emanuele Pirro, which was not the most inspired of moves, but Nannini finished the year with a win in the Japanese Grand Prix after Ayrton Senna was disqualified. The team signed three-times World Champion Nelson Piquet in 1990, then in the twilight of his Formula One career. Piquet turned in some fine performances, though, and, as before, Benetton picked up the pieces in Japan when Senna and Prost collided. Benetton's future, however, was shaped by the events of 1991 when a youthful Michael Schumacher burst on to the scene. Already a German Formula Three Champion and Macau winner, Michael was also a member of the Mercedes sports car junior team when he made his Formula One debut in a Jordan at Spa. He stunned the regulars by qualifying seventh. Benetton had seen enough. 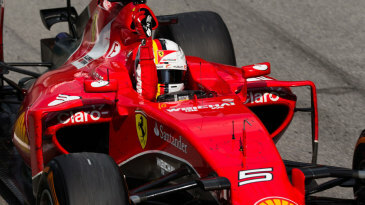 After ugly scenes at Monza, the team managed to prise Schumacher away from Jordan and sign him to a long-term contract. Engineering director Tom Walkinshaw had been responsible for running the Jaguar sports car programme and he had first-hand experience of Schumacher's ability. The German was brilliant from the start. He outpaced Piquet immediately and regularly brought the car home in the points. Benetton realized that it had a future World Champion on its books and Briatore instigated a build programme for a new technical facility in England's Cotswold hills, bringing the operation together under one roof. In 1992, Schumacher was unable to go for the championship because Williams had mastered active suspension first, allowing Nigel Mansell and Riccardo Patrese to finish one-two in the title race. 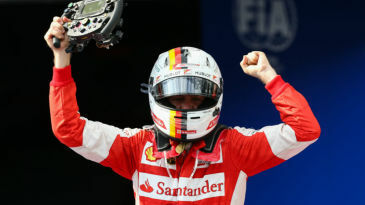 However, Schumacher did score a wonderfully judged first grand prix win at Spa-Francorchamps. In 1993, Benetton made great strides towards closing the gap with Williams by introducing a semi-automatic gearbox and active suspension. Schumacher did not have traction control until Monaco, though, where he led, but it was too late to stop Prost and Williams marching towards the drivers' and constructors' titles. However, 1994 was the year. 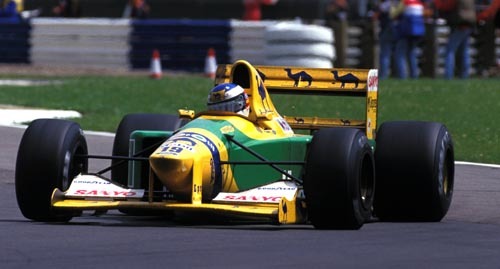 The Benetton B194 was the first chassis to see daylight from the "big four" teams and Ford had done a great job with the Zetec-R V8 engine. 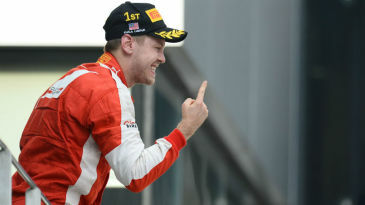 Schumacher won the first two races of the year and, when Senna was killed at Imola, he was left as Formula One's top gun. Benetton endured suggestions of illegality, then Schumacher suffered a two-race ban for ignoring a black flag at Silverstone and was thrown out on a technicality at Spa-Francorchamps. He went to Adelaide with a one point lead over Damon Hill and the title was decided when the pair collided. In 1995, Benetton won the valued Constructors' Cup for the first time as Schumacher won nine grands prix - retaining his World Championship - and Johnny Herbert won two. Jean Alesi and Gerhard Berger failed to win for Benetton in 1996. Berger took a single win in Germany in 1997, but the old guard were replaced in 1998 by Alex Wurz and Giancarlo Fisichella, with rally boss David Richards at the helm until Rocco Benetton - son of the company owner - took over late in the season. This line-up stayed the same through 1999 and 2000, albeit with Briatore returning in 2000, but no more wins were scored. Hopes that Renault engines would improve the team's form in 2001 were over-optimistic, but the signs were good by season's end as Benetton was transformed into the Renault team for 2002.